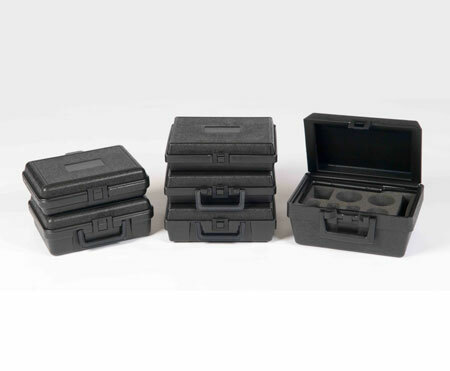 We carry 10.0 outside length blow molded cases in stock with depths from 2.75 – 3.75. Our small cases come with and without handles. We manufacture all of our cases in-house using our best practices in extrusion blow molding. We offer quick shipping on all of our in-stock cases. To find out more information and receive a quote for our in-stock plastic cases, contact us at 1-877-593-2182.